Abu Dhabi Company for Onshore Petroleum Operations Ltd (ADCO) awarded McConnell Dowell Abu Dhabi (MDAD) the 3 year contract for the Flowlines and Wellhead Installation Works in ADCO Fields – Package B – Bab Field. The works involve the design (route and residual stress) and construction of wellhead piping and flowlines. The natural oil & the water injection wells are generally undertaken with Customer supplied materials, whilst the other specialised wells will be completed on an EPC basis. The project is in the BAB field which is an ADNOC/ADCO asset. This field is very congested with operating wells, tracks, rig crossings and flowlines. The Project site is in a security zone requiring extensive approvals and permitting. Being a brown field site all activities are subject to daily permits to work. Temperatures over the summer period can reach 50 degrees Celsius. The team has worked closely with the customer and stakeholders to ensure the success of the project and is currently in discussions to extend the Contract for another two years. 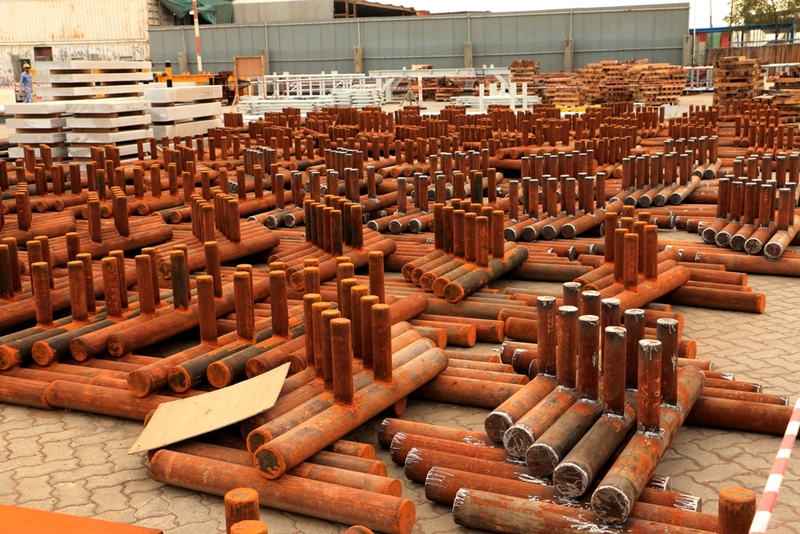 Wellhead piping and foundations are fabricated offsite in the DMDME Fabrication Facility in Jebel Ali.